The Electro-Motive Division's GP35 carried on the success of the GP30 that had ended production in 1963. 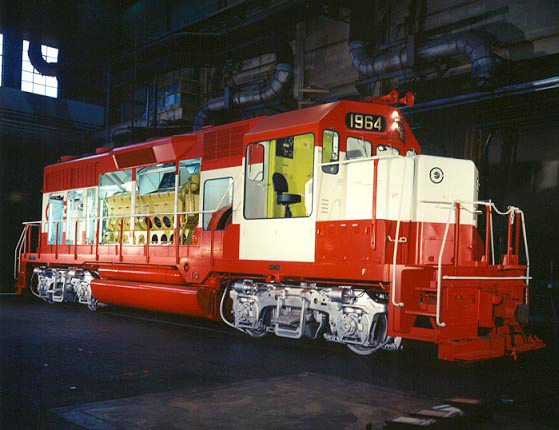 The GP35 remained in production for only three years but in that time span sold more than 1,300 examples! It featured the same prime mover as the GP30 but offered slightly more horsepower. The reason for the locomotives success can be attributed to two things: first, by the mid-1960s railroads were looking to upgrade to more efficient second-generation locomotives as many first-generation models had more than 20 years of use and wear; and second, many models built by the American Locomotive Company (Alco), Baldwin, and Fairbanks Morse had simply either not held their worth or were maintenance headaches for crews (as such, several new GP35 purchases were the result of trade-ins). 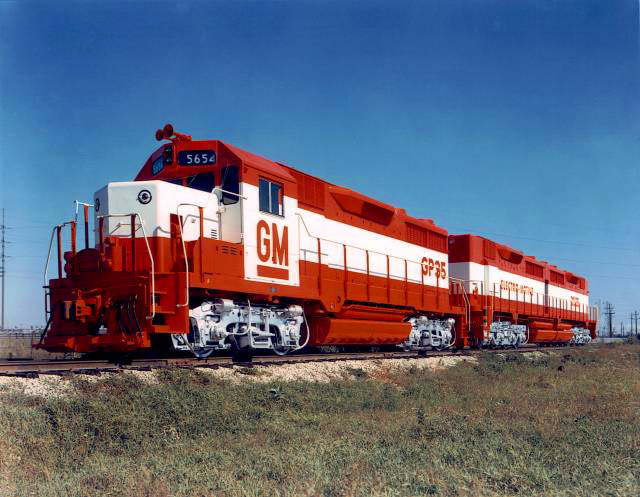 For EMD, the mid-1960s marked its second dominant period as a locomotive builder selling thousands and thousands examples of models like the GP35, GP38, GP40, SD40, and their many variants. Today, numerous GP35s remain in service on regional and shortlines as well as a small handful which are already preserved. 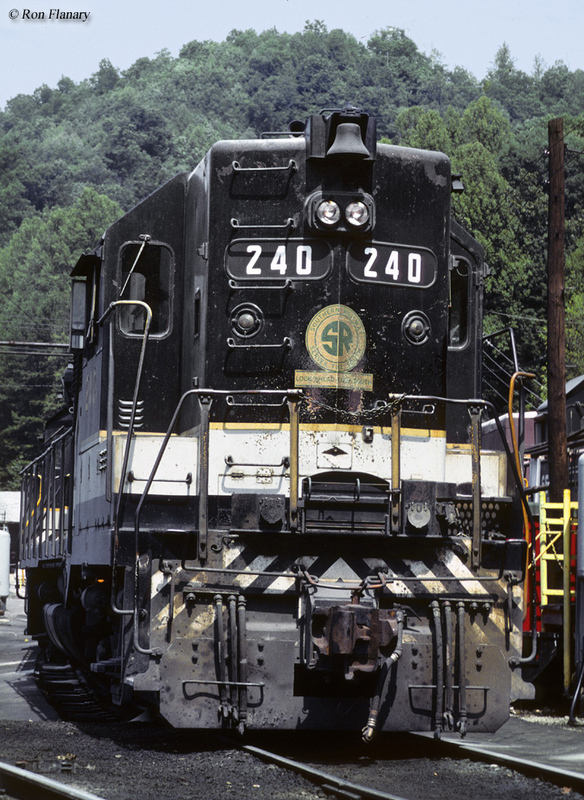 The EMD GP35, which debuted in 1963 and built through 1966, followed the GP30 (which was one of the EMD’s first models of what is commonly referred today as second-generation power, or those diesel locomotives that are clearly defined from early models with less horsepower and fewer other technological features), and offered similar characteristics to its predecessor. The company stuck with the same prime mover, the 16-cylinder model 567D3A. However, horsepower was again bumped up to 2,500. Additionally, EMD continued to use the same model traction motor, the D57, which output the same effort as the GP40; 60,500 pounds starting and 50,000 pounds continuous. Weight, as well as length, remained the same; 56 feet and 130 tons. Perhaps the most significant difference with the GP35 was just in the overall carbody, with a slightly redesigned and sloped-off cab and smoother overall body itself (there was no longer the dynamic brake bulge as with the GP30, giving the roof a clean look). Another noticeable difference with the GP35 is that the model featured EMD's new Spartan Cab, that was used on all subsequent models until the FRA-mandated Safety Cabs of the early 1990s). It first appeared as early as the GP20, which was the first model offered exclusively with a low nose and refined somewhat in the GP30 that no longer included the noticeable slant. In any event, the GP35’s design would become virtually standard on all later EMD models, including the Special Duty (SD) six-axle models; a standard cab followed by a long, clean hood. Aside from the extra 250 horsepower and rated at 2,500 hp (over the GP30’s 2,250 hp), the GP35 was equipped with the recently developed dynamic brake (a system for temporarily employing traction motors as generators and using the resulting electromotive force to slow the train), and featured an airtight hood that kept out dust, dirt, and other particles from reaching internal components (to cool these critical components the GP35 featured a single air intake for electrical cooling, with a pressurized cooling system). The dynamic brake had been offered on models as early as the FT of 1939. However, as EMD/General Motors improved its traction motor over the years its dynamic braking became more efficient. 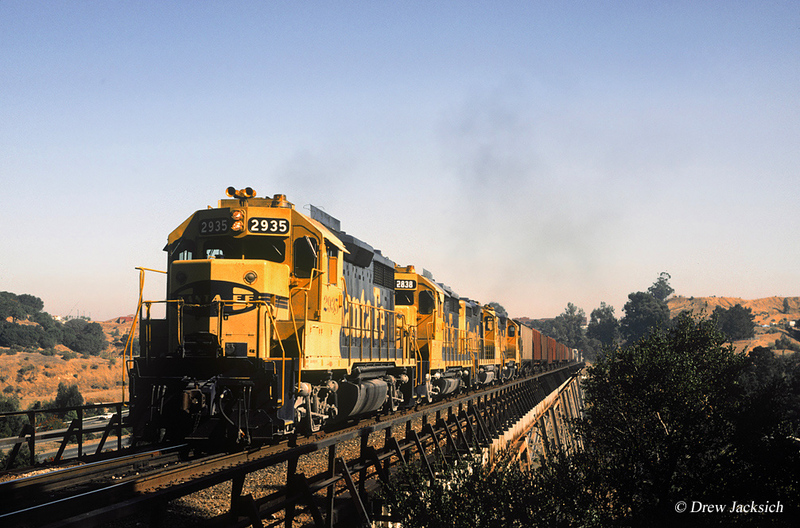 One of EMD’s most successful second-generation Geeps the GP35 was a perfect fit for railroads looking for moderate power and a locomotive that was easy to maintain. Companies that ulimately purchased the model were wide-ranging; the Union Pacific, Reading, Erie Lackawanna, New York Central, Great Northern, Soo Line, Milwaukee Road, Norfolk & Western (which ordered their GP35s with high hoods), Chicago & North Western, Santa Fe, and Rio Grande. In any event, GP35s still be widely seen across the country and its reliability and classic EMD ease of maintenance will likely continue to keep the GP35 around on regionals and short lines for years to come. 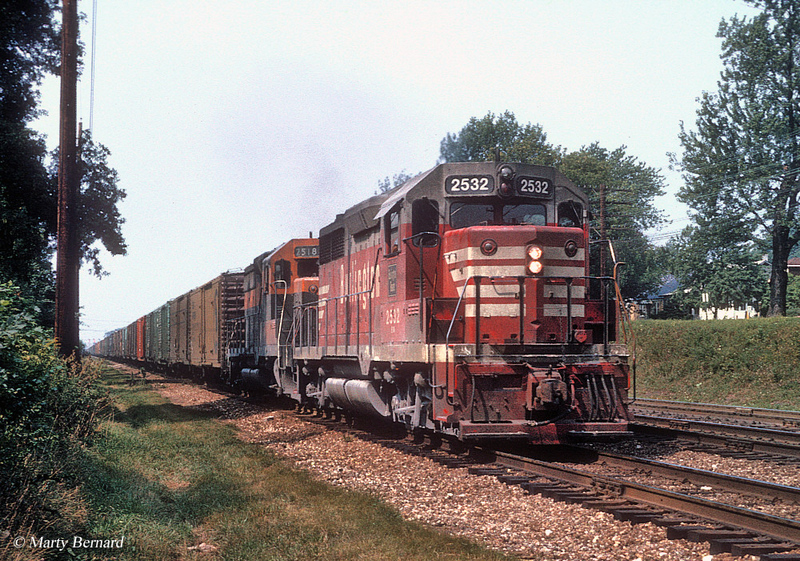 Some of the places one can still find GP35s in service include the Lycoming Valley Railroad, Wheeling & Lake Erie, Hudson Bay Railway, Conway Scenic Railroad, Great Lakes Central, Northern Plains Railroad, Housatonic Railroad, Webb Asset Management, Dakota, Missouri Valley & Western, Hartwell Railroad, Alabama Southern, Goderich-Exeter Railway, Montana Rail Link, Kansas City Terminal, Kettle Falls International Railway, Palouse River & Coulee City, Carolina Coastal Railway, and even BNSF Railway still rosters a few. So, be on the lookout for them because there are plenty out there!